Hi there! 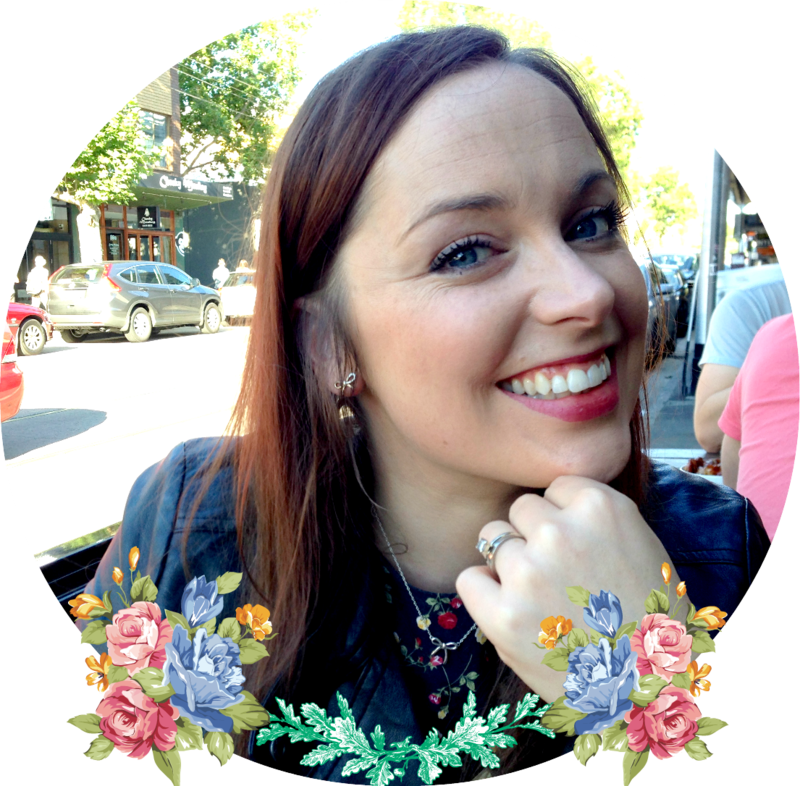 My name is Emily and I am so happy that you've popped by! I decided I needed an outlet to show off my creations, whether successful or not, and hopefully develop a lot of skills along the way. 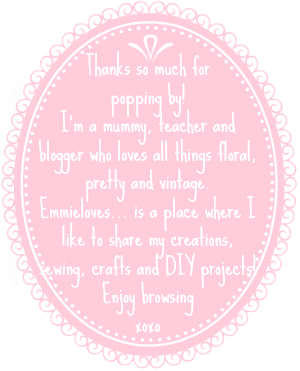 Emmie Loves... is where I get to share my latest crafty creations and sewing projects. To be honest, I am far from an expert...in fact, a lot of what I do is just made up or inspired by others and I like to continually give stuff a go. Creating makes me happy and I'm just trying to make the world around me a prettier and happier place every day. I hope to inspire and encourage you to sew, craft, create something fun for you or a loved one. 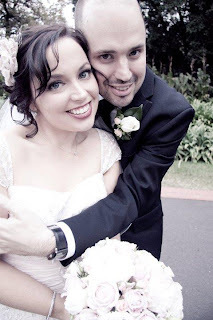 I live in Melbourne, Australia with my husband and beautiful little girl. Enjoy having a squiz and my blog, I promise it will get much better as I start to learn what I'm doing! !